The Young Actors Conservatory is for ages 13 and up. The classs will meet weekly beginning on Monday, May 6th from 7:00 PM to 8:30 PM and span 6 weeks. Acting 101 is a foundations classs that will focus on the most successful methods of acting based on expert techniques. 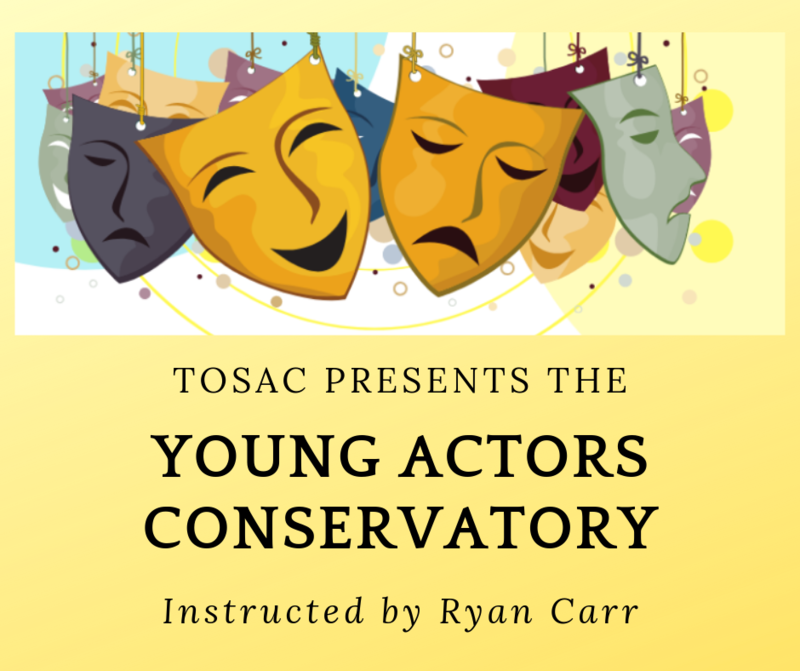 This class is a pre-requisite to all other upcoming TOSAC conservatory classes and is instructed by Ryan Carr. Additional information is availble from the instructor by calling (312) 489-6914. Tuition covers the weekly class for 6 weeks. No refund is given for missed classes. Any additional required material is at the discretion of the instructor.